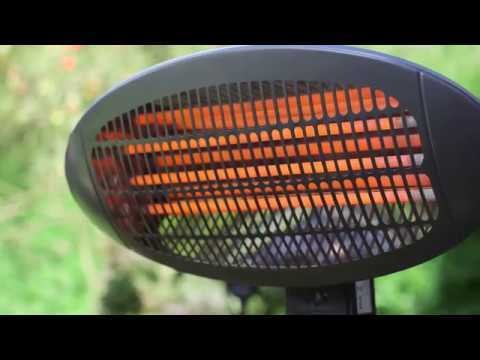 Keep warm when outdoors with this powerful, 2000W floor standing patio heater from Garden Glow. If you enjoy relaxing in the garden, then this patio heater will help you to make the most of outside spaces even in the evenings when the temperature drops. Quick to heat up, the floor standing patio heater is the perfect addition to enjoy your garden and entertain guests.